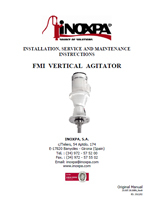 The range of the FMI agitators presents vertical direct motor-driven agitators. 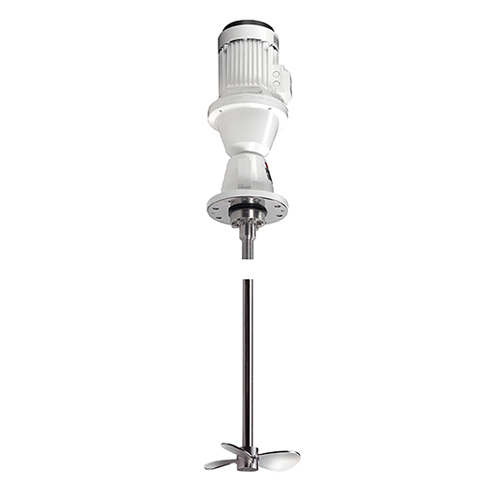 They are used in the processes of mixing, dissolution, dispersion and maintenance, whenever a powerful and high-speed agitation is required, in the food-processing, cosmetics, pharmaceutical or chemical industries. The most adequate finish is selected for every process. 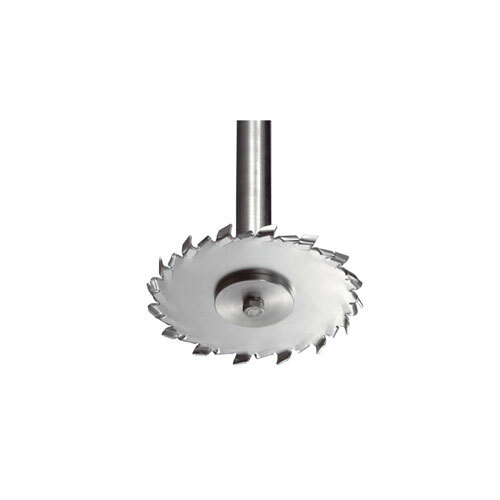 The agitators are normally fitted to tanks of up to 20.000 L for work with low-viscosity products. 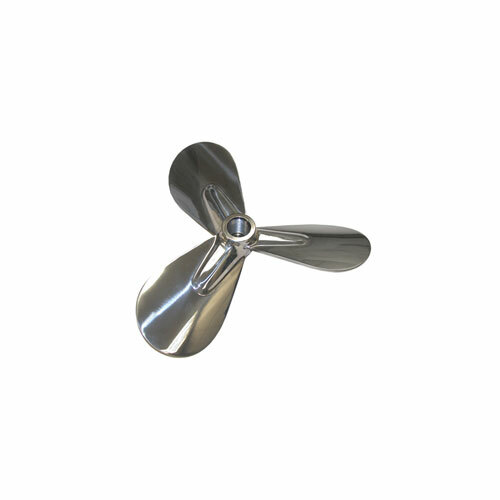 The rotation of the propeller makes the fluid flow to the bottom and then up to the surface along the walls of the tank. The effect is promoted if the bottom of the tank is curved. attached to the drive by means of a rigid coupling plate. IEC B5 motor, 1500 rpm, IP 55, F-class insulation. Welded propeller with Ra ≤ 0,4 µm and Ra ≤ 0,8 µm surface finish. 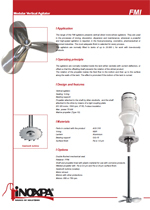 Motors: 950 or 750 rpm.